I don’t think there is another food that I love more than corn; I could probably live on boiled corn for the rest of my days, without any kind of issues 😀 . From July until October, corn is my best friend, my favorite non human “thing” and the supreme happiness from my taste’s point of view. I don’t even know how to find the perfect words to express my love for corn, I blush like a teenager girl at her first kiss…in another life I was probably…well…CORN :D; I must have been, otherwise I cannot explain myself why I am so fascinated with this cereal. Because yes, corn is a cereal, and a very special one actually, because it’s not only exceptional from the taste point of view, but it’s also very nutritious for our human body; we will touch this subject in just a moment. Do you remember the corn that your grandparents used to have in their one back yards or planted in their fields? That corn that had that far from perfect alignment of grains on cob, sometimes very crowded, and maybe with a naughty worm on it; that corn that had those scented leaves, from too much sun and that had that brownish corn silk; that corn that had that normal grains on cob, without the today’s glossy look and taste of burned sugar; that happy corn that we called “polenta on cob” …the corn with the taste of childhood 😀 ? This is the corn that you should buy!!! This is the corn that we should consume, the authentic corn, the non GMO one. If you don’t manage to distinguish the authentic corn from the GMO one, you should definitely go to farmers market and buy the local one, from people that you trust and that can provide to you a few explanations about the seeds that they used. Try to consume organic corn as much as you can and don’t settle for less than that…but remember: stay away from the GMO corn. This is very, very important. I recommend you to get informed and to study the GMO aspects in general…you will be shocked about how many things you will find. 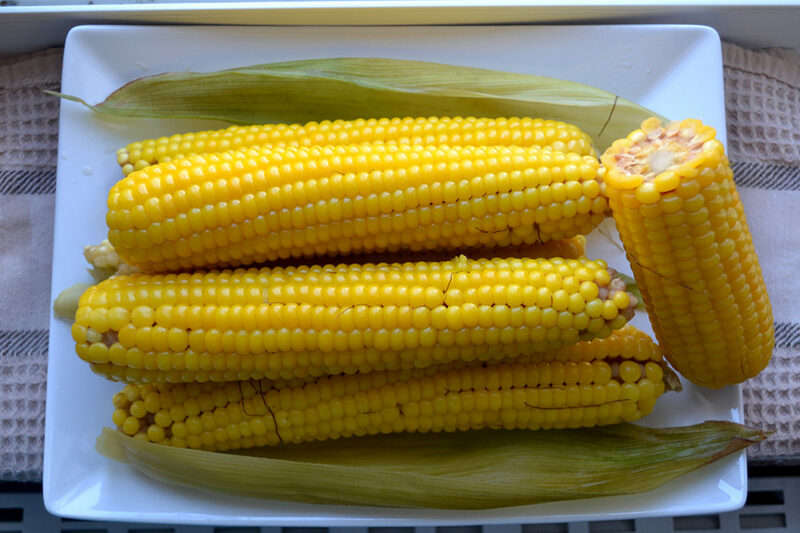 The corn can be boiled ( my favorite one 😀 ), can be baked, we can add the grains into salads, soups, we can make polenta with it….and maybe you can help me with more ways of eating corn (please comment below) 😀 . I would be, as you can imagine 😀 !!! To me, corn is a spectacular plant which has feed millions of people for thousands of years. Corn sustains life in many, many cultures and it has been worshiped since always. My country is in top 10 countries that produce corn. Isn’t that amazing? 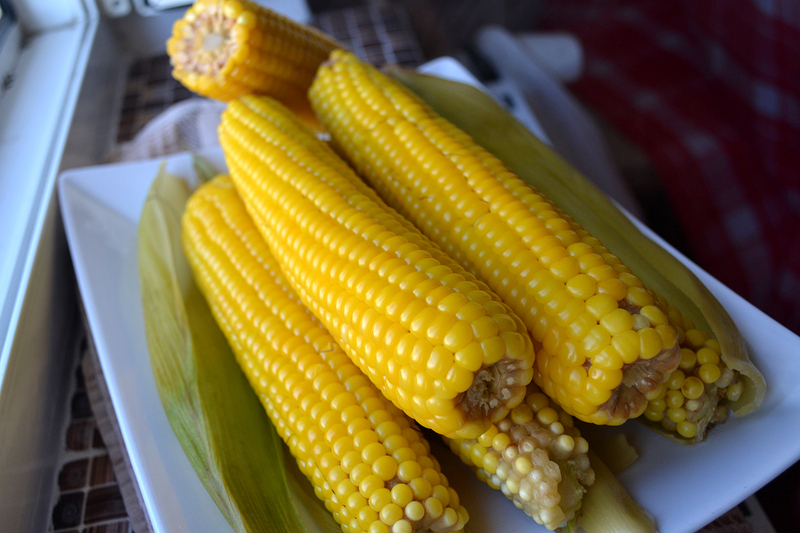 …this is the reason for which I will take advantage of the season which just started and I will indulge on corn. In these last lines of this article I would like to share with you my little secret for having corn in winter also. 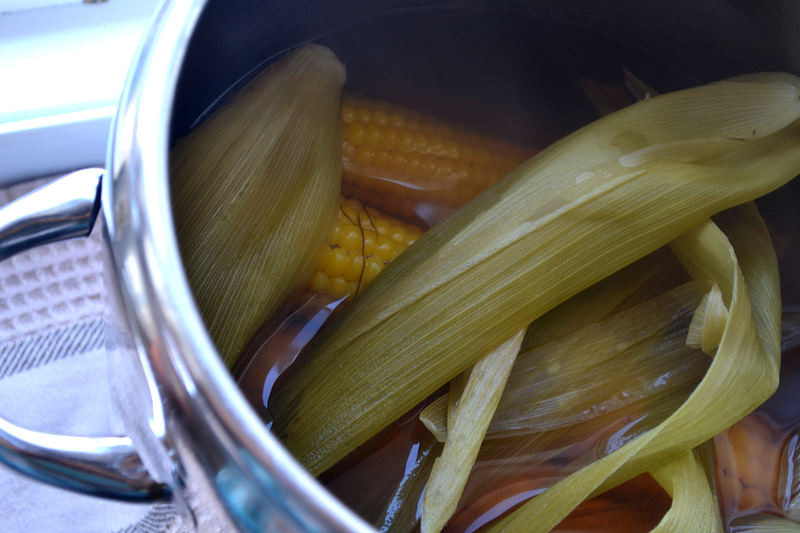 I some cobs and I freeze them raw for winter and in winter I boil some. My neighbors get jealous on me because of the smell of summer, in the middle of cold, windy winter 😀 . “I have no hostility to nature, but a child’s love to it.